Last updated on 5 December 2017. To see changes to the Conditions of Use & Sale click here. Amazon Commercial Services Pty Ltd (ABN 30 616 935 623) and its affiliates ("Amazon") provide website features and other products and services to you when you visit or shop at Amazon.com.au (the "website"), use Amazon products or services, use Amazon applications for mobile, or use software provided by Amazon in connection with any of the foregoing (collectively "Amazon Services"). The Amazon Services include the information, content, materials, products, and software included on or otherwise made available to you through the Amazon Services and references to the Amazon Services in these Conditions of Use & Sale include any or all of these. Amazon provides the Amazon Services and sells our products to you subject to the conditions set out on this page. "Amazon AU" and "Amazon Australia" are registered business names for Amazon Commercial Services Pty Ltd. Please review our Privacy Notice and Cookies & Internet Advertising Policy, which also govern your use of Amazon Services, to understand our practices. When you use any Amazon Service or send e-mails, text messages, and other communications from your desktop or mobile device to us, you are communicating with us electronically. We will communicate with you electronically in a variety of ways, such as by e-mail, text, in-app push notices or by posting e-mail messages or communications on the website or through the other Amazon Services, such as our Message Centre. You consent to receive communications from us electronically and agree that communications that we provide to you electronically satisfy any legal requirement that such communications be in writing. All content included in or made available through any Amazon Service, such as text, graphics, logos, button icons, images, audio clips, digital downloads and data compilations is the property of Amazon or its content suppliers and is protected by Australian and international copyright and authors' rights laws and (where applicable) database right laws. Other than to the extent necessary to use any Amazon Service for its permitted purpose and in accordance with these Conditions of Use and the applicable Service Terms, you may not copy, extract and/or re-utilise any content of any Amazon Service without our express written consent, including, without limitation, any product listings, descriptions, prices and account information. In particular, you may not utilise any data mining, robots, or similar data gathering and extraction tools to extract (whether once or many times) for re-utilisation any substantial parts of any Amazon Service or its content, without our express written consent. You may also not create and/or publish your own database that features substantial parts of any Amazon Service or its content without our express written consent. Click here to see a non-exhaustive list of Amazon trademarks. Graphics, logos, page headers, button icons, scripts, and service names included in or made available through any Amazon Service are trademarks or trade dress of Amazon. Amazon's trademarks and trade dress may not be used in connection with any product or service that is not Amazon's, in any manner that is likely to cause confusion among customers or in any manner that disparages or discredits Amazon. All other trademarks not owned by Amazon that appear in any Amazon Service are the property of their respective owners, who may or may not be affiliated with, connected to, or sponsored by Amazon. You may not frame or use framing techniques to enclose any trademark or logo (including images and text) of Amazon without our express written consent. You may not use any meta tags or any other "hidden text" utilising Amazon's names or trademarks without our express written consent. Amazon or its content providers grant you a limited, non-exclusive, non-transferable, non-sublicensable, revocable right to access and make personal and non-commercial use of the Amazon Services. The right granted to you does not include any license or permission to use the Amazon Service or any part thereof for the benefit of any third party, or to resell or make any commercial or derivative use of any Amazon Service or any part thereof. All rights not expressly granted to you in these Conditions of Use or any Service Terms are reserved and retained by Amazon or its licensors, suppliers, publishers, rights holders, or other content providers. You may not misuse the Amazon Services. You may use the Amazon Services only as permitted by the relevant Service Terms and in accordance with law. Without limiting any other rights we have at law and under these Conditions of Use or the relevant Service Terms, the access and use rights granted by Amazon under these Conditions of Use terminate if you do not comply with this Section 6. 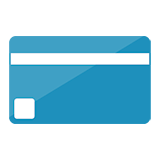 You are responsible for maintaining the confidentiality of your account and password. Except to the extent caused by our breach of this Agreement, you are responsible for all activities that occur under your account regardless of whether the activities are authorized by you or undertaken by you, and we are not responsible for unauthorized access to or use of your password or account. You should take all necessary steps to ensure that your password is kept confidential and secure and should inform us immediately if you have any reason to believe that your password has become known to anyone else, or if your password is being, or is likely to be used in an unauthorised manner. You must ensure that the details you provide to us are correct and complete, and inform us of any changes. You can access and update certain information you have provided to us, and your account settings, in the Your Account area of the website. You may not use any Amazon Service: (i) in any way that causes, or is likely to cause, any Amazon Service, or any access to it to be interrupted, damaged or impaired in any way, (ii) in any way that may interfere with or harm any other user of an Amazon Service; (iii) for fraudulent purposes, or in connection with a criminal or other unlawful activity, or (iv) in any manner that is not permitted under these Conditions of Use and the relevant Service Terms. If we have concerns with your account, or activity relating to your account, or if you are in breach of applicable laws, these Conditions of Use, or the relevant Service Terms, we reserve the right to take action on your account in accordance with these Conditions of Use, and the relevant Service Terms, including without limitation by (i) refusing service, (ii) suspending or restricting access to your account, (iii) terminating your account; or (iv) removing or editing content you post using your account. The action we elect to take and any notice you may receive will vary depending on the Amazon Service, the circumstances and our assessment of relevant factors. Suspension or termination of an Amazon Service may occur in connection with, or result in suspension or termination of other Amazon Services. At any time, you may, in accordance with the applicable Service Terms and using the tools and settings we make available to you for each Amazon Service, cease using any Amazon Service, terminate your account or the Amazon Service, or remove or edit certain content and material you post (each as permitted by that Amazon Service). Visitors may post reviews, comments and other content; send communications; and submit suggestions, ideas, questions or other material, as long as the content is not illegal, obscene, abusive, threatening, defamatory, invasive of privacy, infringing of intellectual property rights, or otherwise injurious to third parties or objectionable. You must not post or send any content that contains software viruses, or that comprises political campaigning, commercial solicitation, chain letters, mass mailings or any form of "spam". You may not use a false e-mail address, impersonate any person or entity, or otherwise mislead as to the origin of any such content or communication. We reserve the right (but not the obligation) to remove or edit such content. . If you post content or submit material, and unless we indicate otherwise, you grant: (a) Amazon a non-exclusive, royalty-free and fully sublicensable and transferable rights to use, reproduce, modify, adapt, publish, translate, create derivative works from, distribute, and display such content throughout the world in any media; and (b) Amazon, its sublicensees and transferees the right to use the name that you submit in connection with such content, if they choose. You agree that the rights you grant above are irrevocable during the entire period of protection of your intellectual property rights associated with such content and material. To the extent permitted by law, as applicable, you: (i) consent to any infringement of; and (ii) agree to waive, any right you have to be identified as the author of such content and any right you have to object to derogatory treatment of such content. You agree to perform all further acts necessary to perfect any of the above rights granted by you to Amazon, at our request. You are responsible for your content and you represent and warrant that you own or otherwise control all of the rights to the content and material that you post and that, as at the date that the content or material is posted it: (i) is accurate; (ii) complies with these Conditions of Use and any applicable Service Terms; and (iii) does not breach any applicable laws. You agree to indemnify Amazon for all claims brought by a third party against Amazon arising out of or in connection with the content and material you supply except to the extent that any liability arises from our failure to remove the content or material when we receive from a relevant party a valid Notice Form as described in these conditions relating to the content or material. Amazon respects the intellectual property of others. If you believe that an item or information on any Amazon Service infringes your intellectual property rights, please follow our Notice and Procedure for Making Claims of Right Infringements. You may not use any Amazon Service if you are the subject of U.S. sanctions or of sanctions consistent with U.S. law imposed by the governments of the country where you are using Amazon Services. You must comply with all U.S. or other export and re-export restrictions that may apply to goods, software, technology, and services. In addition to these Conditions of Use, the terms found here ("Software Terms") apply to any software (and any updates or upgrades to the software and any related documentation) that we make available to you from time to time for your use in connection with Amazon Services (the "Amazon Software"). Parties other than Amazon operate stores, provide services, or sell products on this website and we provide links to the sites of affiliated companies and certain other businesses. We are not responsible for examining or evaluating, and we do not warrant or accept any responsibility or liability for the actions or offerings of, any other party or the content of their websites. You can tell when a third party is involved in your transactions, and we may share your information related to those transactions with that third party. You should carefully review their privacy statements and other conditions of use. Amazon, through Amazon Marketplace, allows third party sellers to list and sell their products on Amazon.com.au. The relevant seller is indicated on the respective product detail page. While Amazon helps facilitate transactions that are carried out on the Amazon Marketplace, Amazon is neither the buyer nor the seller of the seller's items. Amazon provides a venue for sellers and buyers to negotiate and complete transactions. Accordingly, the contract formed at the completion of a sale for these third party products is solely between the buyer and seller. Amazon is not a party to this contract nor assumes any responsibility arising out of or in connection with it nor is it the seller's agent. The seller is responsible for the sale of their products and for dealing with any buyer claims or any other issue arising out of or in connection with the contract between the buyer and seller. Because Amazon wants the buyer to have a safer buying experience, Amazon provides to the buyer the Amazon A-to-z Guarantee in addition to any contractual or other rights or remedies that the buyer may have against the seller or any other party. Unless otherwise specified in writing, Amazon disclaims, and does not make, any representation or warranty of any kind in respect of the Amazon Services including without limitation any representation or warranty (i) that they are free of viruses or other harmful components; (ii) that your use of the Amazon Services will be uninterrupted or error-free; or (iii) as to the suitability or availability of the Amazon Services. Amazon will not be responsible for: (i) losses arising from the unavailability of, or your inability to use any Amazon Services), (ii) losses that are not directly caused by any breach on our part; (iii) any business loss, loss of sales, profits, revenue, contracts, anticipated savings, data, goodwill or wasted expenditure; (iv) any indirect or consequential losses; (v) any delay or failure to comply with our obligations under these conditions if the delay or failure arises from any cause which is beyond our reasonable control. For any other loss relating to an Amazon Services, we limit our liability to the amount you have paid to us for the relevant Amazon Service. Nothing in these conditions is intended to (i) override any express commitments Amazon gives to you for particular Amazon Services (for example, commitments Amazon gives to provide a refund of fees in certain circumstances) or (ii) exclude, restrict or modify any right or remedy you have in statute including under the Australian Consumer Law or otherwise to the extent that that right or remedy cannot be excluded, restricted or modified under law. Any disclaimer, exclusion, or limitation in these conditions applies as provided for in these conditions to the full extent permitted by law and subject to any such non excludable right or remedy. The laws of New South Wales govern this Agreement and any dispute of any sort that might arise between the parties. Any dispute relating in any way to this Agreement will only be adjudicated in the courts of New South Wales. Each party consents to the exclusive jurisdiction and venue in these courts. Notwithstanding the foregoing, either party may seek injunctive relief in any state, federal, or national court of competent jurisdiction for any actual or alleged infringement of such party's, its affiliates' or any third party's intellectual property or other proprietary rights. The United Nations Convention on Contracts for the International Sale of Goods, and any local laws implementing the Convention on Contracts for the International Sale of Goods, do not apply to this Agreement. If you would like to bring a matter to our attention, please contact us. We reserve the right to cease providing any Amazon Service to you, to discontinue any Amazon Service and to make changes to any Amazon Services at any time. Your access to Amazon Services may be suspended or restricted in accordance with these Conditions of Use and the applicable Service Terms, and as necessary for our business operations including without limitation to allow for repairs, maintenance or the introduction of new features or services. We reserve the right to make changes to any Conditions of Use and Service Terms at any time by posting the changes on our website. You will be subject to the Conditions of Use and Service Terms made available on the website at the time that you use the Amazon Services. You may at any time, cease using any Amazon Services, terminate your account or the relevant Amazon Service (in accordance with Section 7) including in the event of any such change. If any of these Conditions of Use is deemed invalid, void, or for any reason unenforceable, that condition will be deemed severable and will not affect the validity and enforceability of any remaining condition. We do not sell products for purchase by children. We sell children's products for purchase by adults. If you are under 18 you may use the Amazon Services only with the involvement of a parent or guardian. 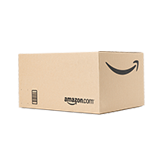 Contact information relating to other Amazon Services or the Affiliate that provides the Service may differ and can be found in the relevant Service Terms. If you believe that your rights are being infringed, you may fill out and submit the Notice Form. We respond expeditiously to rights owners and their agents who complete and submit the Notice Form to communicate concerns about any alleged infringement. Upon receipt of a Notice Form we may take certain actions, including removing information or an item, all of which are taken without any admission as to liability and without prejudice to any rights, remedies or defences, all of which are expressly reserved. Furthermore, in submitting a Notice Form, you grant to Amazon the right to use, reproduce, modify, adapt, publish, translate, create derivative works from, and display its content throughout the world in any media. This includes forwarding the Notice Form to the parties involved in the provision of the allegedly infringing content. You agree to indemnify Amazon for all claims brought by a third party against Amazon arising out of or in connection with the submission of a Notice Form. Note on Third Party Seller Listings: Please keep in mind that Third Party Seller listings are merely hosted on Amazon.com.au and are posted solely at the direction of Third Party Sellers who may be contacted via their Seller Information page, accessible from any of their listings. ASIN and ISBN-10, Defined: "ASIN" stands for Amazon Standard Item (or Identification) Number and is a ten (10) character identifier. It can be found below any listing under Product Details. "ISBN-10" stands for International Standard Book Number and is a ten (10) digit identifier that can be found on some book listings under Product Details. Important Warning: giving false, misleading or inaccurate information in the Notice Form to Amazon may result in civil and/or criminal liability. You should contact a legal advisor should you have any questions. 1. Use of the Amazon Software. You may use Amazon Software solely to use and enjoy the Amazon Services as provided by Amazon, and as permitted by the Conditions of Use, these Software Terms and any Service Terms. You may not incorporate any portion of the Amazon Software into your own programs or compile any portion of it in combination with your own programs, transfer it for use with another service, or sell, rent, lease, lend, loan, distribute or sub-license the Amazon Software or otherwise assign any rights to the Amazon Software in whole or in part. You may not use the Amazon Software for any illegal purpose. We may cease providing any Amazon Software and we may terminate your right to use any Amazon Software at any time. Your rights to use the Amazon Software may be terminated without notice from us if you fail to comply with any of these Software Terms, the Conditions of Use or any other Service Terms. Additional third party terms contained within or distributed with certain Amazon Software that are specifically identified in related documentation may apply to that Amazon Software (or software incorporated with the Amazon Software) and will govern the use of such software in the event of a conflict with these Conditions of Use. All software used in any Amazon Service is the property of Amazon or its software suppliers and protected by applicable laws protecting copyright and other intellectual property rights. 3. No Reverse Engineering. Unless explicitly permitted under applicable mandatory law, you may not, and you will not encourage, assist or authorise any other person to copy, modify, reverse engineer, decompile or disassemble, otherwise tamper with, or bypass any security associated with the Amazon Software, whether in whole or in part, or create any derivative works from or of the Amazon Software. 4. Updates. In order to keep the Amazon Software up-to-date, we may offer automatic or manual updates at any time and without notice to you. These Conditions of Sale govern the sale of products on amazon.com.au by Amazon Commercial Services Pty Ltd (ABN 30 616 935 623) (trading as "Amazon AU" or "Amazon Australia") to you. Please read these conditions carefully before placing an order for products sold by Amazon AU, by placing an order you agree to be bound by these conditions. These Conditions of Sale do not apply to any products sold by, and any transaction between you and a third party seller on the Amazon Marketplace. Section 13 the Conditions of Use applies to those products and transactions. With respect to products sold by Amazon AU, your order is an offer to us for you to buy the product(s) in your order. When you place an order to purchase the product(s) from us, we will send you a message confirming receipt of your order and containing the details of your order (the "Order Confirmation"). If you are using certain Amazon Services (e.g. Amazon mobile applications) the Order Confirmation may be posted on a Message Centre on the website. The Order Confirmation is acknowledgement that we have received your order, and does not confirm our acceptance of your offer to buy the product(s) ordered. We only accept your offer, and conclude the contract of sale for a product ordered by you, when we dispatch the product(s) to you and send e-mail or post a message on the Message Centre of the website confirming that we've dispatched the product to you (the "Dispatch Confirmation"). If your order is dispatched in more than one package, you may receive a separate Dispatch Confirmation for each package, and each Shipment Confirmation and corresponding dispatch will conclude a separate contract of sale between us for the product(s) specified in that Dispatch Confirmation. Your contract of sale is with Amazon Commercial Services Pty Ltd.
You consent to receive sales invoices electronically. Electronic invoices will be made available in pdf format in the Your Account area of the web site. For each delivery, we will inform you in our Dispatch Confirmation if an electronic invoice is available. For further information about electronic invoices and instructions on how to receive a paper copy please refer to our help pages. Please note that we sell products only in quantities which correspond to the typical needs of an average household and may refuse orders fro quantities that exceed this. This applies both to the number of products ordered within a single order and the placing of several orders for the same product. Unless one of the exceptions listed below applies, you can cancel your order for a product at no cost any time before we send the Shipment Confirmation relating to that product. You may submit your cancellation request using the Your Orders section of the website. the delivery of newspapers, journals or magazines with the exception of subscription contracts. You may return most new, unopened items sold and fulfilled by Amazon within 30 days of receipt of delivery for a full refund of the purchase cost of the item. Please see About Our Returns Policies for more details. Our cancellation and returns policies apply in addition to other rights and remedies a person may have under law including under the Australian Consumer Law. We list availability information for products sold by us on the website including on each product information page. Beyond what we say on that page or otherwise on the website, we cannot be more specific about availability. As we process your order, we will inform you by e-mail or by posting a message on the Message Centre of the website as soon as possible if any products you order turn out to be unavailable and you will not be charged for those products. Despite our best efforts, a small number of the items in our catalogue may be mispriced. If we have made a mistake and a product's correct price is higher than the price on the website, we may either contact you before shipping to request whether you want to buy the product at the correct price or cancel your order. If a product's correct price is lower than our stated price, we will charge the lower amount and send you the product. Unless otherwise stated on the website, delivery estimates and dates are just estimates. They are not guaranteed delivery times and should not be relied upon as such. Where we provide a guaranteed delivery date and a delivery attempt is not made for the relevant shipment by that date, we will refund any delivery fees associated with that shipment, and otherwise we are not liable to you for late deliveries. Where estimated delivery times apply, you are still entitled have the products sent to you within a reasonable time. If the delay occurs before the products are dispatched, you may cancel your order at any time prior to dispatch in accordance with Section 2. Unless expressly indicated otherwise, Amazon is not the manufacturer of the products sold on this website. While we work to ensure that product information on our website is correct, products and any product packaging and materials may be different from that displayed on our website. All information about the products on our website is provided for information purposes only and our sole liability in the event any incorrect product information will be to accept a return of the product in accordance with our returns policies and your statutory rights. We recommend that you do not rely solely on the information presented on our website. Please always read labels, warnings and directions provided with the product before use. In the event of any safety concerns or for any other information about a product, please carefully read the information provided with the product, contact the manufacturer, or report the concern to us. For healthcare products, content on this site is not intended to substitute for advice given by a medical practitioner, pharmacist or other licensed healthcare professional. Contact your healthcare provider immediately if you suspect that you have a medical problem. Information and statements about products are not intended to be used to diagnose, treat, cure or prevent any disease or health condition. Amazon accepts no liability for inaccuracies or misstatements about products by manufacturers or other third parties. This does not affect your statutory rights. When ordering products from Amazon for delivery outside of Australia you may be subject to import duties and taxes, which are levied once the package reaches the specified destination. Any additional charges for customs clearance must be borne by you, we have no control over these charges. Customs policies vary widely from country to country, so you should contact your local customs office for further information. Additionally, please note that when ordering from Amazon for delivery outside of Australia, you are considered the importer of record and must comply with all laws and regulations of the country in which you are receiving the products. Your privacy is important to us and we would like our international customers to be aware that cross-border deliveries are subject to opening and inspection by customs authorities. Unless otherwise stated in writing, Amazon disclaims, and does not make, any representation or warranty of any kind in respect of any product we offer on the website or that you may order from us. Amazon will not be responsible for (i) any loss arising from the unavailability of any product; (ii) losses that were not caused by any breach on our part; (iii) any business loss, loss of sales, profits, revenue, contracts, anticipated savings, data, goodwill or wasted expenditure; (iv) any indirect or consequential losses; or (v) any delay or failure to comply with our obligations under these conditions if the delay or failure arises from any cause which is beyond our reasonable control. This Section 8 does not affect your rights under Section 4. Unless otherwise stated in writing, our liability to you for any loss arising from or relating to the offer or sale of any product by us on the website is limited to a refund of the relevant amount paid for the product (including applicable shipping fees). The disclaimers, exclusions, and any other limitations on Amazon's liability in this Section do not override any express commitments Amazon gives to you (for example, in respect of Guaranteed Delivery as described in Section 4). Nothing in these conditions is intended to exclude, restrict or modify any non-excludable right or remedy you have under law including the Australian Consumer Law. Any disclaimer, exclusion, or limitation as provided for in these conditions applies to the full extent permitted by law and subject to any non-excludable right or remedy. The laws of New South Wales govern this Agreement and any dispute of any sort that might arise between the parties. Any dispute relating in any way to this Agreement will only be adjudicated in the courts of New South Wales. Each party consents to exclusive jurisdiction and venue in these courts. Notwithstanding the foregoing, either party may seek injunctive relief in any state, federal, or national court of competent jurisdiction for any actual or alleged infringement of such party's, its affiliates' or any third party's intellectual property or other proprietary rights. The United Nations Convention on Contracts for the International Sale of Goods, and any local laws implementing the Convention on Contracts for the International Sale of Goods, do not apply to this Agreement. If you would like to bring a matter to our attention, please contact us. We reserve the right to make changes to our website, these Conditions of Sale, our policies, and our listings at any time by posting the changes on our website. You will be subject to the Conditions of Sale and policies available on the site at the time that you order products from us. If any of these Conditions of Sale is deemed invalid, void, or for any reason unenforceable, that condition will be deemed severable and will not affect the validity and enforceability of any remaining condition. We do not sell products for purchase by children. We sell children's products for purchase by adults. If you are under 18 you may only use Amazon.com.au with the involvement of a parent or guardian.